It’s possible that Alexis Sanchez has made over £13million since he last scored a competitive goal for Manchester United. It has been well documented that the former Arsenal forward became the highest paid player in the Premier League when he moved to Old Trafford this January. The precise figure he’s on has varied a little, but most agree it’s an astronomical amount somewhere between £500-600k a week before tax. If we take the Telegraph‘s reported figure of £600k as his wage, then he has made precisely £13.2m since his last goal in a Red Devils shirt, which was 22 weeks ago in the FA Cup semi-final win over Tottenham. The Chile international hasn’t scored yet this season and had another poor game today in the 1-1 draw at home to Wolves. 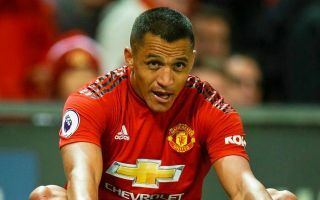 United fans are becoming increasingly impatient with the 29-year-old, of whom far better things were expected when he joined the club last winter. Having previously looked one of the best players in the world at Arsenal, it’s quite staggering to see what’s become of him at United. Of course, many footballers are very high paid and everyone goes through bad patches, but as Sanchez is seemingly paid so far above the best in the league, it’s quite shocking to think about just how much he’s pocketed during this dry spell. It’s also worth noting that Sanchez didn’t play for United over the summer, so he would’ve been taking that kind of money home anyway for just putting his feet up during the close-season. But it’s a lot of money for United to be paying a player contributing so little, so one has to wonder if a few in the corridors of Old Trafford are starting to majorly regret this signing. And hey, as noted in that Telegraph piece, it would take a minimum wage worker 41 years to earn what Sanchez does in just a week, meaning there are hard-working people out there also doing a lot more for a lot less. Footballers keep getting more and more expensive, and football as a game more and more out of touch with the real world, but is it really worth it? As Sanchez has shown, they’re only human after all.